Optimism or desperation? 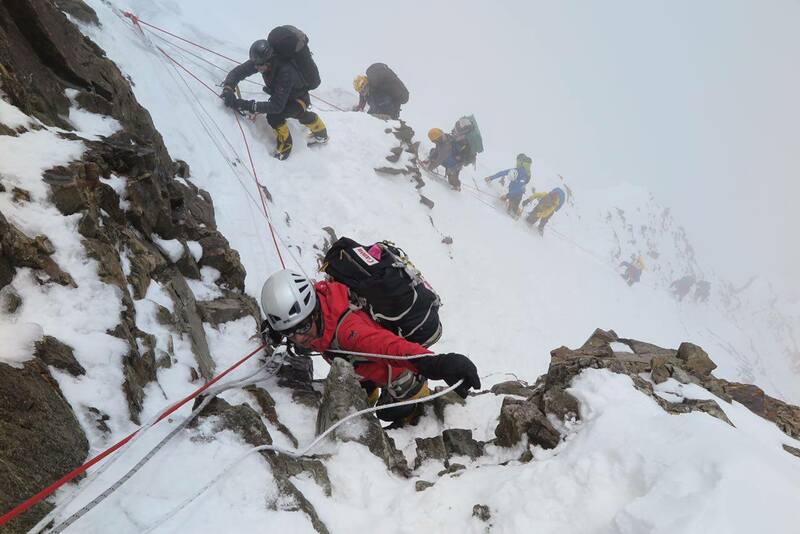 Majority of climber have launched the summit attempt in a not-so-good weather window on a highly challenging mountain. They are hoping that Sherpa and HAPs will be able to open route from C3 to C4, stack necessary apparatus for summit attempt in C4 and fix the ropes from C4 to summit, while conditions on the mountain and weather remain stable, and they are able to reach the top on July 14th. It’s also hoped that winds on 15th/16th will not be fierce enough to pose a threat to descending climbers. Not to mention, there will be physical challenges, congested camps and queues along the rope of ascent. Too many question marks, but weather forecast shows no definite summit window after this. Hence majority of climbers considered this opening as best shot for summit. Sherpa fixed final few hundred to establish C3 (at around 7300m) today, while commercial climbers are now in C2. Kobler-Partner and Madison Mountaineering (with additional members from Himex) were first groups to reach K2 BC, this season. They completed two acclimatization rotations on the mountain; slept in C1 during first round and C2 in second. They intended to tag/sleep in C3 as well before summit push. However, bad weather didn’t allow them to do so. 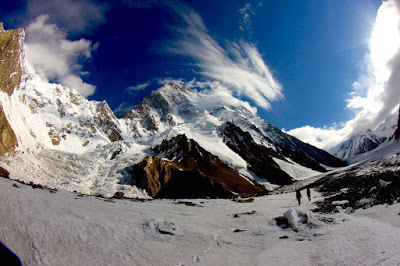 Similarly, other teams including Vanessa O'Brien’s K2 United Expedition, Adventure Peaks, Dreamers Destination and Seven Summit Treks (with members from China, Korea and Japan), who are part of current summit attempt acclimatized to C2 only. Almost all of these climbers are expected to start using bottled oxygen above C2, though. Kobler-Partner and Madison Mountaineering Sherpa had fixed ropes till C2 before other teams joined in. Ropes were fixed till around 7000m before bad weather arrived couple of weeks ago. 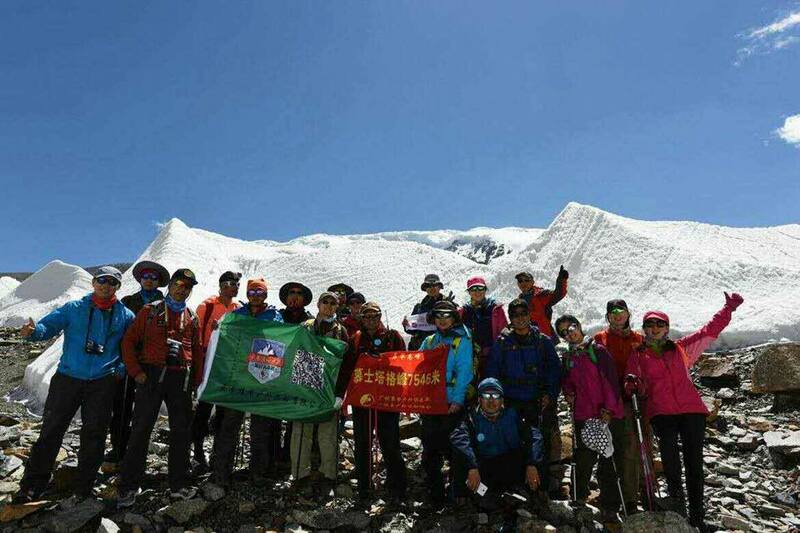 Teams left BC yesterday morning, aiming to reach the summit on July 14th. Sherpa climbed directly to C2 and pushed forward to complete route till C3 (7300m) this morning. Strong wind delayed rope-fixing team’s departure this morning and they couldn’t fix ropes beyond C3 as planned. Sherpa are expected to complete route till C4 tomorrow and stock the camp with oxygen and summit push gear by July 13th evening. Majority of clients spent yesternight in C1 and ascended to C2 this morning. A few climbers reached C2 directly today. The group is expected to reach C3 tomorrow (July 12th) and C4 a day later. July 14th is potentially the summit day. With 70+ climbers going up for summit and some more for acclimatization, K2 camps are expected to be jam-packed. Similarly, long queues are formed at different sections of Abruzzi Spur. Climber Maurice Beauséjour, who was in C2 for acclimatization, described the scene as, “we've reached the camp 2 as planned. But we found that it is full... There were hundred people at the foot of House’s Chimney waiting for their turn to pass! We're going to spend the night at camp 2, then climb up to 6800 meters and then go down again to wait for another window of good weather." If summit-bid goes as per plan, it will be the last chance for most of these climbers to reach the summit. Primarily due to lack of resources and also climbing permit of few teams will expire soon. Around 30% climbers have, nonetheless, decided to complete their acclimatization and wait for next summit window – if it ever arrives. Teams not going for summit include Polish Winter Himalaism expedition, Canadian team led by Benoît Lamoureux and small group of climbers including Nick Rice, Mexican couple Badía Bonilla and Mauricio López, Hungarian David Klein and Suhajda Szilárd.